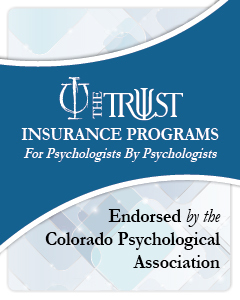 Welcome To The Colorado Psychological Association! Do you have a passion for Ethics and are looking for a way to get more involved in CPA? Do you have experience teaching and/or consulting about ethics and psychology practice? Do you have 5+ years of post-licensure experience? The CPA Ethics Committee has an exciting opportunity for you! View more information and nominate here! WASHINGTON – Following is a statement by Jessica Henderson Daniel, PhD, president of the American Psychological Association, in response to the shooting at the Tree of Life Congregation in Pittsburgh. “We are horrified and heartbroken by this terrible crime and send our thoughts of compassion to the victims, their families and first responders, several of whom were also injured, and to the larger Jewish community. “Hate crimes are the most extreme expression of prejudice. Compared to other crimes, hate crimes have a more destructive impact on victims and communities because they target core aspects of our identity as human beings. “People victimized by violent hate crimes are likely to experience more intense psychological distress than victims of other violent crimes. These can take the form of post-traumatic stress, depression, anxiety and anger. “Hate crimes also send the message to members of the victim’s group that they are unwelcome in the community, decreasing feelings of safety and security. Furthermore, witnessing discrimination against one’s own group can lead to psychological distress and lower self-esteem. “The American Psychological Association urges those who are experiencing trauma in the aftermath of this tragedy to take care of yourselves. Connect with family and friends, talk about your feelings and limit your exposure and that of your children to news media. Remember that professional help is available. The Colorado Psychological Association is deeply concerned about the well-being of children separated from their families at our border. While we are relieved that President Trump signed an executive order ending this separation policy, there we still have many questions and concerns. Our organization supports the American Psychological Association’s June 20 and June 24 statements regarding this policy and the current border situation. See links to APA statements below. We urge you to call your members of Congress (https://www.govtrack.us/congress/members) and let them know of your opposition to these policies and the inhumane treatment of immigrant families. CPA's letter to President Trump expressing our profound concern and opposition to the Administration’s recent policy of separating immigrant parents from their children while being detained at the U.S. southern border. APA Urges Trump to Change Immigration Policy: The organization is highlighting the psychological danger of family separation. Thank You To Our Risk Management Sponsors! 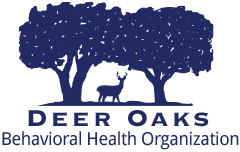 CPA’s The Colorado Psychologist a bi-monthly newsletter contains commentaries, articles on national and state issues affecting psychologists, ethical issues, clinical theories and advancements and special features. CPA Networking Opportunities to share ideas, obtain feedback on issues or merely visit with your peers. If you are experiencing a mental health emergency, please call 911 or go to your nearest emergency services center. relationship problems, family crises, anxiety, depression, substance abuse, suicidal thoughts, bullying, stress and disability. Access Colorado Crisis Resources through their website.